Long before graffiti was adopted as the visual expression of hip-hop culture in the 1980s, Chicano gang memb ers in East Los Angeles had been developing stylized calligraphy and writing them on walls since as early as the 1940s. Cholo (gangster) scripts became the first distinctive letter forms to evolve in the modern vernacular tradition of graffiti writing. Today, in addition to the long-standing tradition of Cholo writing, Los Angeles street artists of diverse backgrounds draw from a unique confluence of cultures (pan-Asian, pan-Latino, African-American, European, Jewish) that has led to regionally distinctive styles, which are now studied by graffiti writers worldwide. This is confirmed by the fact that not only have many writers come to Los Angeles to collaborate with regional artists, but many have now taken up residence in the city to be a part of this thriving art scene. 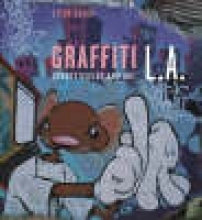 In "Graffiti L.Ai: Street Styles and Art", author Steve Grody documents current trends in graffiti and street art in Los Angeles, while also providing a history of the art form in the city. This is an indepth examination of technique, an exploration of socio-cultural issues in crew dynamics, battles and apprenticeship and interviews with the most prominent artists round out the text. This volume places Los Angeles in its rightful place - at the vanguard of the graffiti world.